Goldsmith Gallery Jewelers is a member of Preferred Jeweler International! What does that mean for our clients? 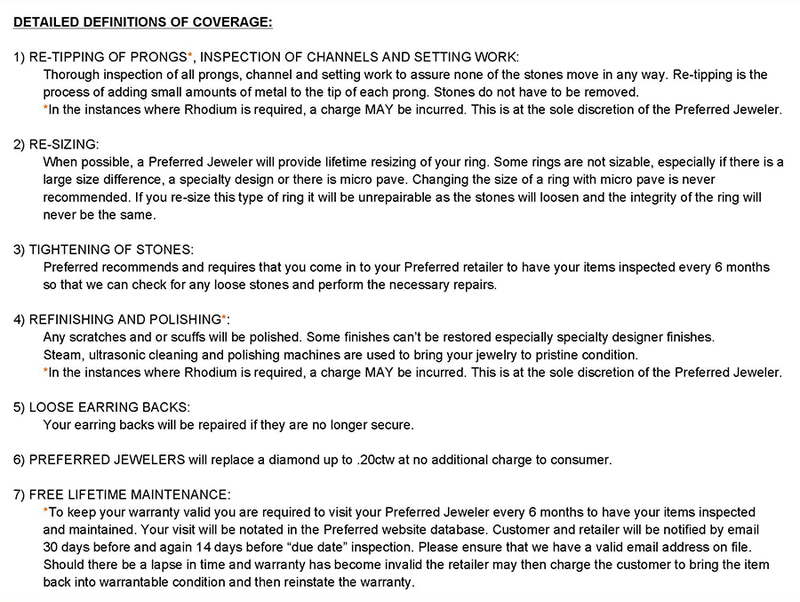 If you purchase your engagement ring at Goldsmith Gallery Jewelers, we will not only clean and inspect it regularly, but we will also guarantee it! All future maintenance is covered for a lifetime. If you lose a diamond*, no matter who’s to blame, we will replace it, no questions asked! 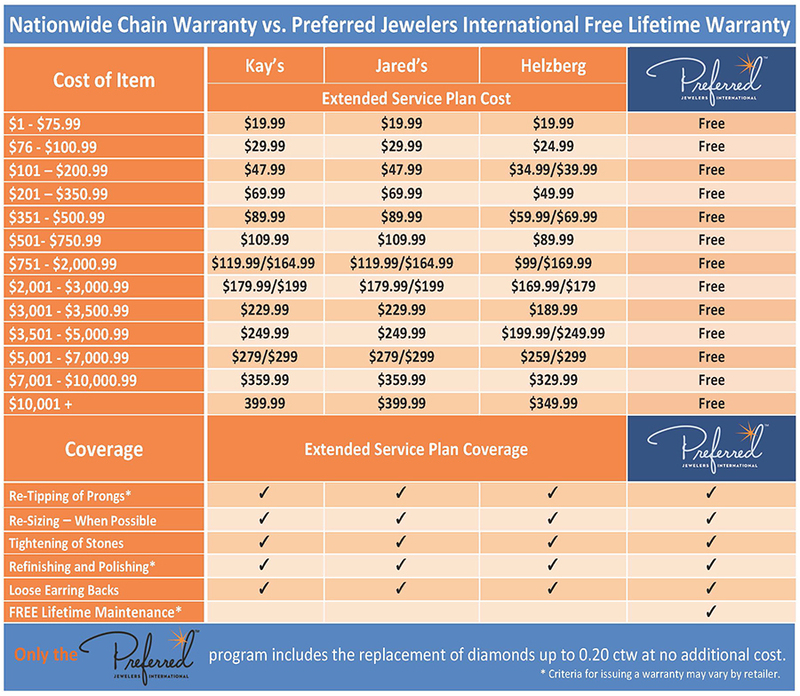 WE guarantee your diamond’s value… plain and simple! If at any time you want to trade up your diamond, you will get the full price that you originally paid for your diamond as a credit toward the purchase of a new diamond.